The FBI and the International Law Enforcement Academy (ILEA) in Roswell, New Mexico, hosted law enforcement delegations from six African nations in April in a training aimed at developing strategies to counter violent extremism. The United States woke up to the reality of terrorism on 9/11, but many of the African nations that participated in a recent FBI-led program aimed at countering violent extremism have been fighting terror attacks on their soil for decades. The recent training—conducted at the International Law Enforcement Academy (ILEA) in Roswell, New Mexico—included delegations from Kenya, Nigeria, Uganda, Angola, Botswana, and Mozambique. Delegates were police officers, prosecutors, and judges, and many had firsthand experience dealing with terrorism in their countries. Special Agent Rick Hernandez, who provides counterterrorism training to the FBI’s international partners, speaks to the ILEA delegates about countering violent extremism. In July 2010, suicide bombers in Uganda’s capital city of Kampala carried out attacks on crowds watching a World Cup soccer match, and more than 70 people were killed. Susan Okalany, a member of the Uganda delegation at ILEA, was appointed lead prosecutor in the case after her colleague in that position was assassinated. “Uganda is a young population—about 50 percent of Ugandans are below the age of 18,” said Okalany, who is now a judge. “While we have universal primary and secondary education, the rate of enrollment and retention in schools is not very high.” Without the proper programs for young people, she believes many could be indoctrinated and radicalized by extremist groups. Other delegates shared similar concerns—as well as insights—about the threat from terrorism in their countries. ILEA participant Frank Emeka, who heads the Nigeria Police Force’s criminal investigations and intelligence divisions, discusses how the entire community must work together to counter violent extremism. 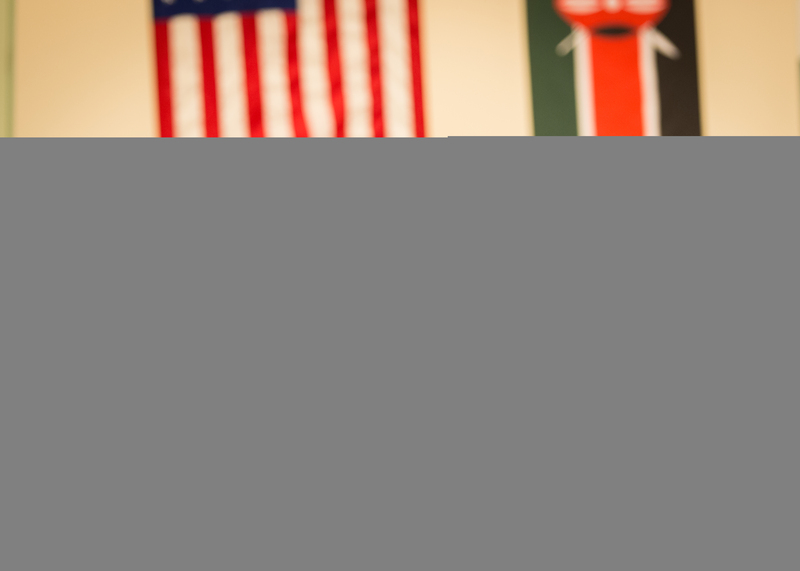 | A member of the Nigerian delegation at ILEA listens to an FBI instructor discussing the underlying causes of terrorism and ways law enforcement can be more proactive in preventing acts of violent extremism. 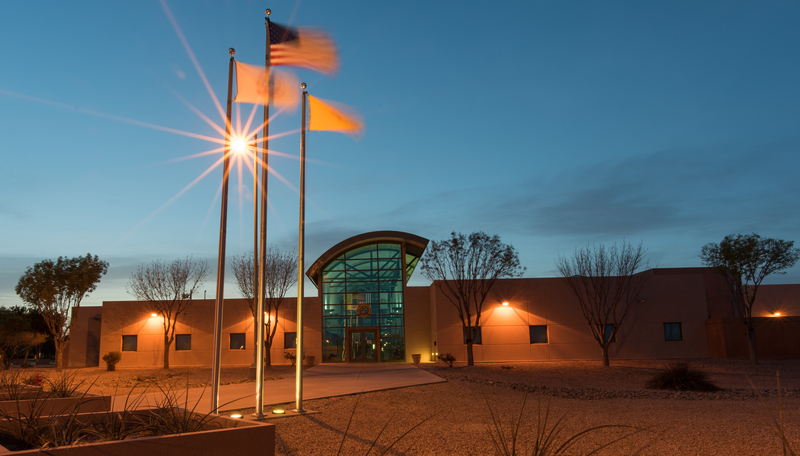 | The International Law Enforcement Academy (ILEA) building in Roswell, New Mexico. The idea is to look left of the boom—a military term referring to the timeline before an explosion—and to trace the journey that individuals take from being average citizens to being violent extremists, and to find a way to interrupt that process. Frank Emeka, a member of the Nigerian delegation who heads the Nigeria Police Force’s criminal investigations and intelligence divisions, described the jihadist group Boko Haram as a serious threat to his country’s national security. Beyond providing training and instruction to America’s international partners, a fundamental part of the ILEA mission (see sidebar) is to bring regional nations’ law enforcement leaders and decision makers together to address shared threats and to promote lasting friendships and professional networks. If the terrorists are using social media to radicalize youth, said Emeka, “we must match them skill for skill. We must begin to make counternarratives and counterradicalization messages. We must engage our people.” As for the ILEA concept of networking, delegates believe it is beneficial—and necessary. In the 1990s, not long after the fall of the Berlin Wall, former Soviet countries in Eastern Europe asked the FBI for help. These emerging democracies had little experience with Western methods of policing and operating a criminal justice system under the rule of law. What resulted was the first International Law Enforcement Academy (ILEA), in Budapest, Hungary. Today, additional academies—funded and run by the U.S. Department of State—operate in Thailand, Africa, El Salvador, and the United States. The ILEA mission, then and now, is to fight terrorism and transnational crime through specialized joint training and fostering international partnerships. 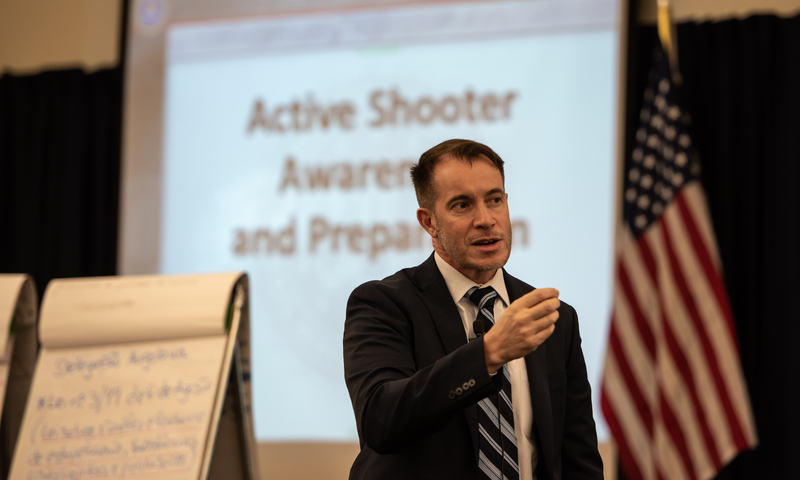 The program is designed to bring regional nations’ law enforcement leaders and decision makers together to address shared threats and to promote lasting friendships and professional networks. A recent training at the U.S. ILEA, in Roswell, New Mexico, was attended by delegates from six African nations and focused on countering violent extremism.